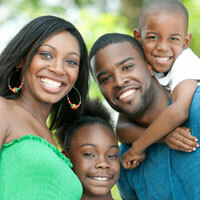 Koch Park Dental can provide complete dental care for your entire family. Did you know that people who floss live longer than those who don’t? Good oral health is crucial to your entire wellbeing. The dental professionals at Koch Park Dental can teach you how to stay healthy and fix any dental issues that you might develop. Koch Park Dental near St Louis in Florissant can provide complete dental care for you and your entire family. We offer total oral care from preventative checkups and cleaning to more entire smile makeovers and restorative dentistry. Are you nervous about going to the dentist? Don’t be discouraged because of negative experiences in the past. Today’s improvements in the dentistry field allow us to treat your dental issues with very little to no pain or discomfort. Our dental providers are extremely gentle and caring and know how to treat your teeth while keeping you comfortable and relaxed. Good dental health is so very important to maintain and the good news is that there’s just no reason to be afraid of the dentist anymore! Did you know that about 42,000 people in the US will be diagnosed with oral cancer in 2013? Oral cancer screening is the process of looking for abnormalities using dental technology before a person has any symptoms. This along with general dentistry visits, helps find cancer in the early stages before it spreads. If your dental professional suggests an oral cancer screening this does not mean you have cancer. Cancer screens are given when no symptoms are visually seen. Contact our office today to schedule your white dental fillings or general dentistry appointment today. We serve all locations near and around St Louis, Florissant and Hazelwood MO.